DXer's Blog full with DX, Shortwave, Mediumwave, Electronics, South Asian DX, Web info. Shortwave, SW listening (DXing), Radio Amateurs Discover the spread long distances shorter and Marconi takes the world by surprise. It also addresses the types of receivers and antennas, you should use, and an introduction to the spread of the signal. 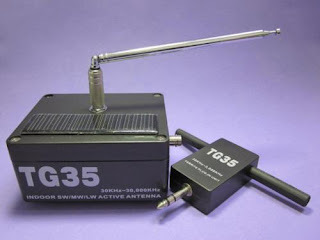 Ø TG35 is an active loop antenna for SW/MW/LW reception. 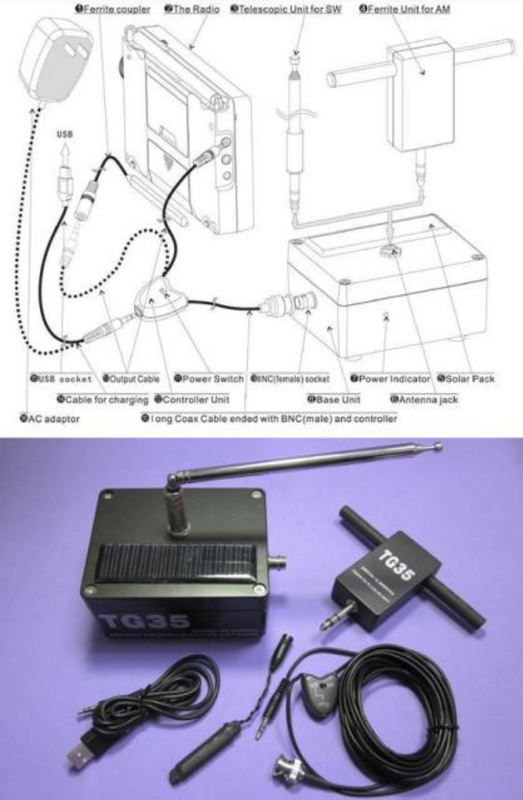 Ø It is special designed for world radios to improve the signal reception. Ø The antenna comes with two unique antennas that plug into the base amplifier. Ø The base amplifier + antenna should be placed on a window sill for best performance. The 18 foot connection cable is connected to the base with a BNC plug/jack. The other end of the cable has the power connection and the receiver connection. Ø This indoor amplified active antenna is the best for portable shortwave radios and will also produce very good results by amplifying the signal received by the ferrite rod plug in antenna. Ø Combined with a 3-foot telescopic antenna and a ferrite coupler unit, this antenna covers a wide frequency range from 30KHz to 30,000KHz. Costs 45 USD + shipping from China. DXingInfo.Com. Simple theme. Powered by Blogger.